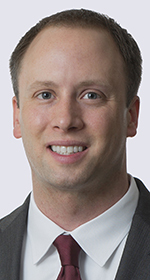 Attorney David M. Nafziger has joined Honigman Miller Schwartz and Cohn LLP, a Detroit-based general business law firm, as a partner in its intellectual property department’s patent practice group. Nafziger will be in the firm’s Bloomfield Hills office. He has been a patent attorney for nearly 10 years, previously working as an electrical engineer for an aerospace company in its laser product development group. Nafziger is admitted to practice in Ohio and before the United States Patent and Trademark Office. His application to practice in Michigan is pending. Nafziger, of Birmingham, earned his Bachelor of Science in electrical engineering from Purdue Universityâ€‹ and his juris doctor from Case Western Reserve University School of Law.